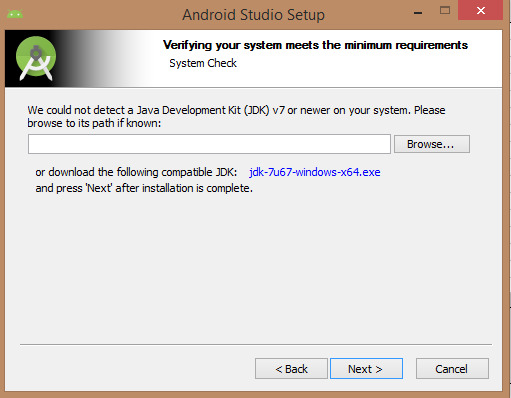 Microsoft® Windows® 8/7/Vista/2003 (32 or 64-bit). 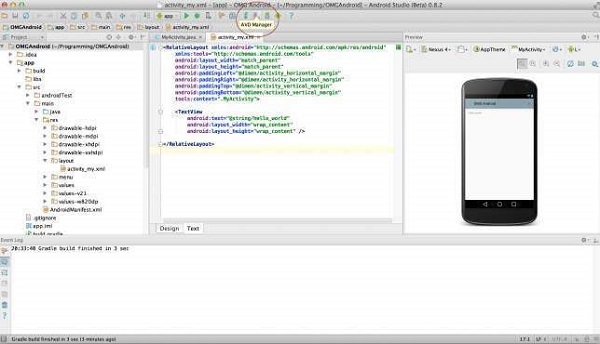 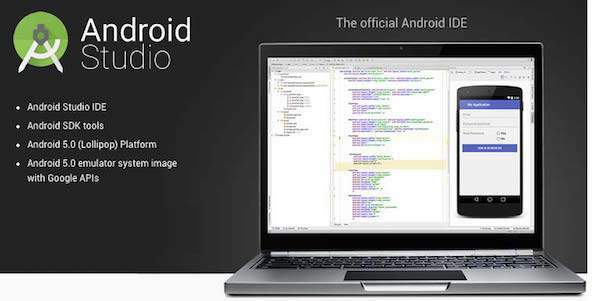 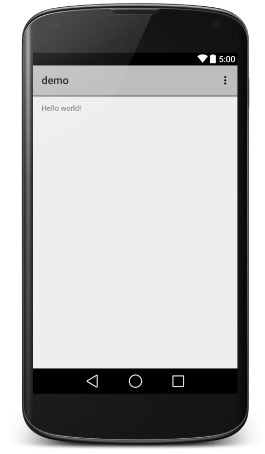 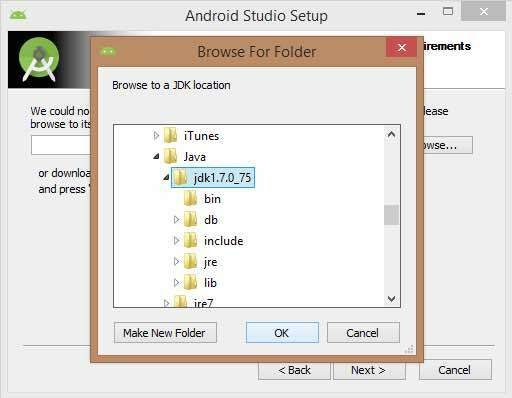 Android Studio is the official IDE for android application development.It works based onIntelliJ IDEA, You can download the latest version of android studio from Android Studio Download, If you are new to installing Android Studio on windows,you will find a file, which is named as android-studio-bundle-135.17407740-windows.exe.So just download and run on windows machine according to android studio wizard guideline. 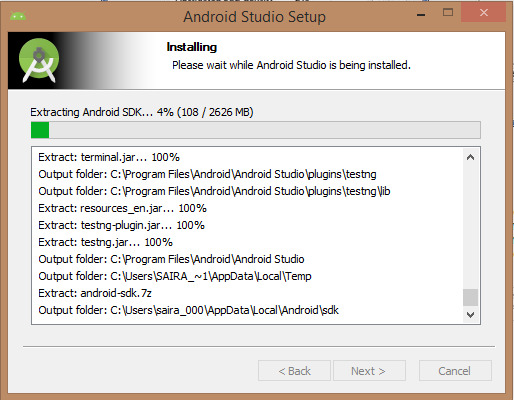 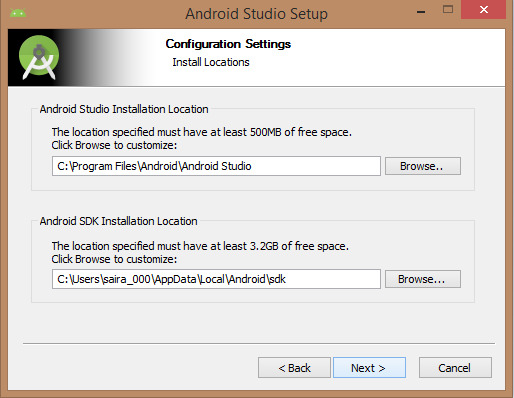 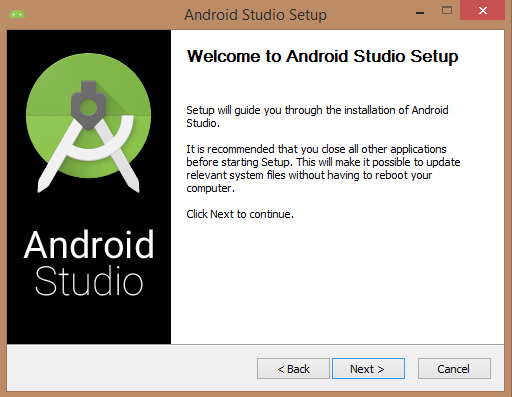 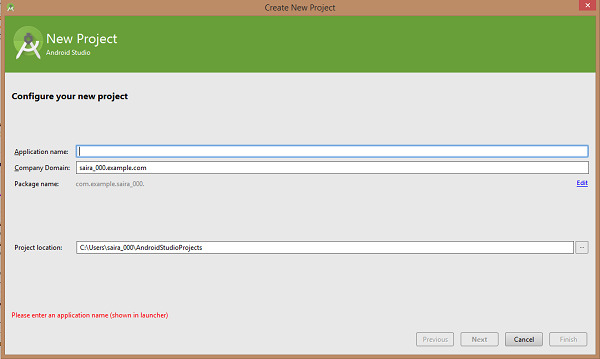 Once you launched Android Studio, its time to mention JDK5 path or later version in android studio installer. 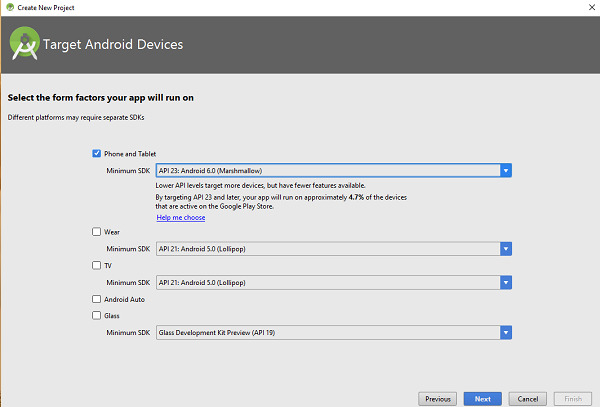 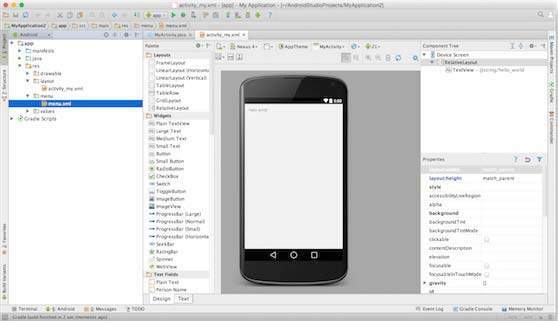 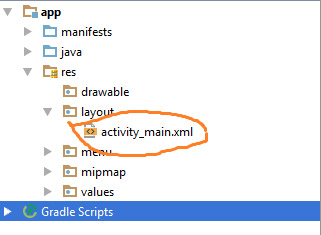 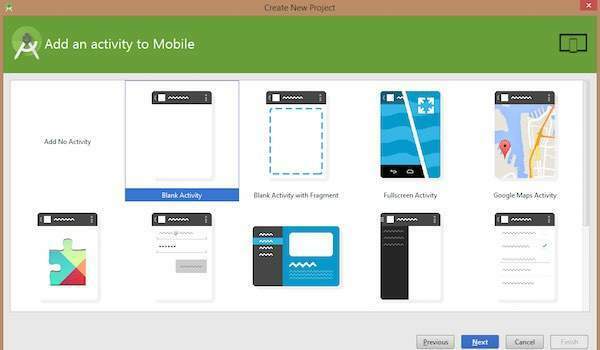 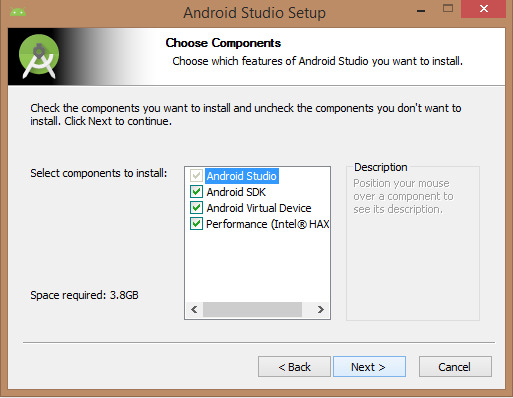 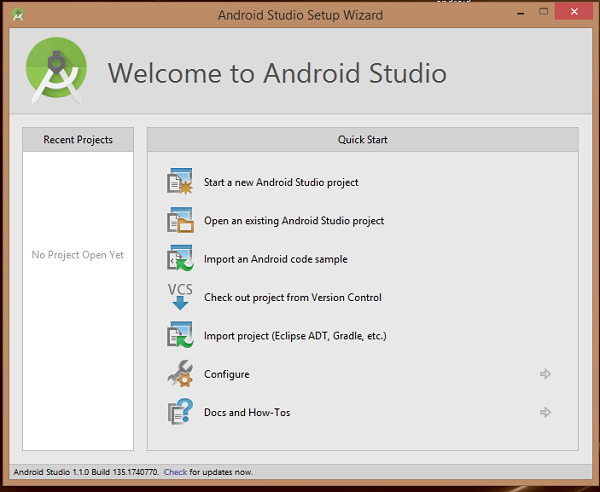 Need to check the components, which are required to create applications, below the image has selected Android Studio,Android SDK,Android Virtual Machine and performance(Intel chip).